Miscellaneous: Following the recommendations of the IAU, the dates of observations, or of astronomical events, should be written in the order of year, month, day, so that in principle it can be appended by the decimal fraction of a day. e.g., a meeting was held in Delhi in January 1981 to discuss the results of the solar eclipse of 1980 February 16. ...Give times to decimals of a day in Universal Time; use of JD is discouraged, but be sure to never use MJD. Dates should be given in the order YEAR MONTH DATE. Tp Time of perihelion passage (comets only), formatted as a calendar date (YYYYMMDD.DDD) where "YYYY" is the year, "MM" is the numeric month, and "DD.DDD" is the day and day fraction. This is consistant with the date order required by ISO 8601, but in astronomical usage the month is often referred to by full name or abbreviation than by number. 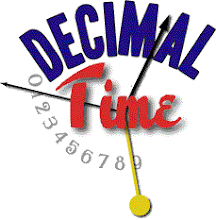 The decimal time of day can then be appended to the ordinal day of the month as a decimal fraction, with as many decimal places as needed. For example, 12:00 PM January 1, 2000, is represented as 2000 Jan. 1.5 or 20000101.50000, which is the current standard epoch for celestial coordinates. This format is also often used to represent epochs of orbital elements for objects orbitting the sun or planets, perihelion dates, etc. The time scale is usually either Terrestrial Time or Universal Time, which may be indicated by the initials TT or UT, respectively. For more examples, see Dates Of Last Observation Of Comets. A fractional day can be added to the ordinal day of the year for ordinal dates. NASA and NORAD publish Two-Line Elements (TLE) for artificial satellites, which include epoch dates consisting of the epoch year followed by the epoch day, which is the ordinal day of the year (sometimes erroneously called "Julian date") with the epoch time added to the epoch day as a fractional day with eight decimal places. Leading zeros may or may not be present. For example, 12:00 January 1, 2000, is represented as 00 1.50000000 or 00001.50000000. A fractional day can be added to a decimal date, which is a count of days from some epoch, such as a Julian Date, which vary according to when the day begins and ends. Julian Date time is the fractional part of a Julian Date, which is 12 hours (0.5 day) behind Universal Time; that is, the fractional day is .0 around noon Greenwich Mean Time (GMT) and .5 around midnight. This is because when Julian Days were introduced the 19th century, astronomers then started and ended their days at noon, so the day in GMT originally started and ended at mean solar noon in Greenwich, while Greenwich Civil Time started at midnight. In 1925, GMT was changed to start at midnight, and the old GMT became called Greenwich Mean Astronomical Time (GMAT), which is twelve hours behind the new GMT (today called Universal Time). Julian Dates continue to be reckoned according to astronomical time, starting at noon, in order to remain consistent with older records. Terrestrial Time (TT) is now the officially recommended time scale, which is currently slightly more than a minute ahead of UT, in which case the Julian Date is 0.5 day (12 hours) behind TT, although UTC or other time scales may still be used. Modified Julian Dates, and some other variations of Julian Dates, start and end around midnight GMT, so the fractional day is .0 at 00:00 UT, and .5 around noon GMT or 12:00 UT. Microsoft Excel uses a decimal date system called serial dates, which are similar to Julian Dates. Serial days begin and end with .0 at midnight local time, even during Daylight Saving Time, keeping in sync with the computer's clock year-round. Thus, two computers at different locations may have serial dates with different fractional values at the same instant.